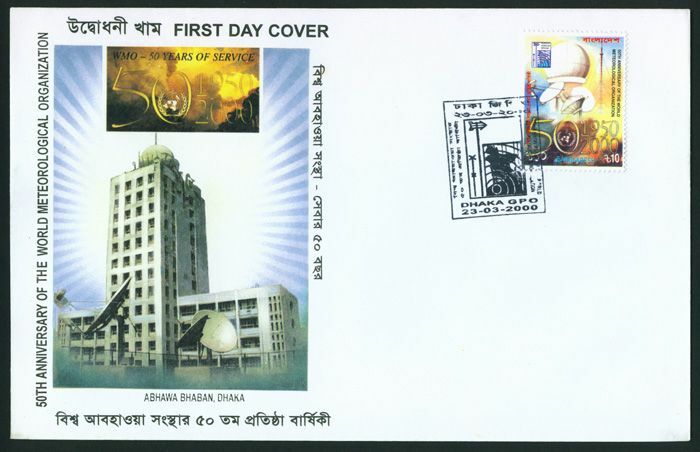 Covers & Fdc Bangladesh First Day Covers -> Year 1996 - 2000. Online shop for stamps, postal history covers, postal stationery. Topical covers and stamps. Bangladesh new issue information. Online auction. Total 56 item(s) found. Showing 41 to 56. Query Took 0.0022 sec. 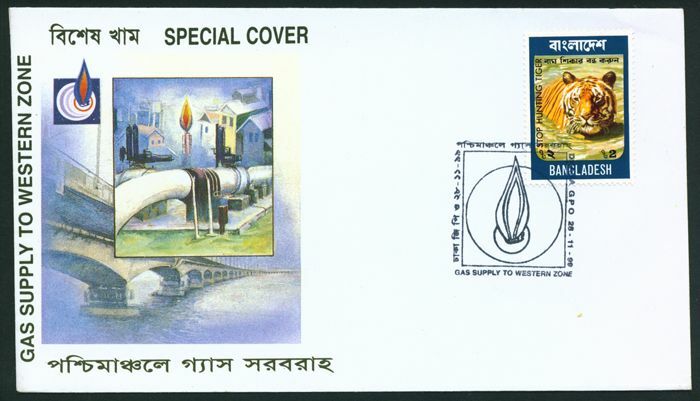 Bangladesh : Gas Supply to Western Zone - Event Cover. Issued on 28-11-1999. 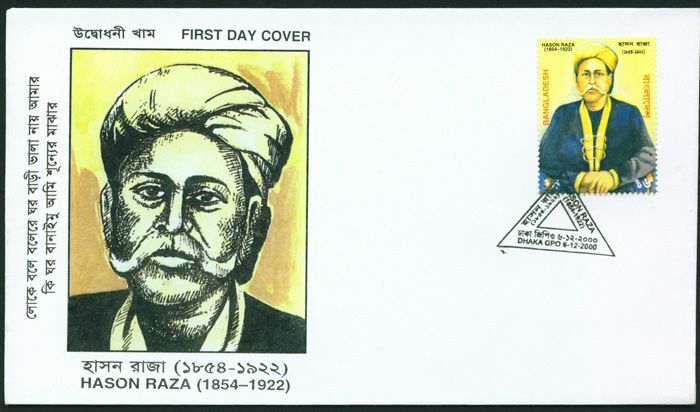 Official cover issued with a pictorial postmark. 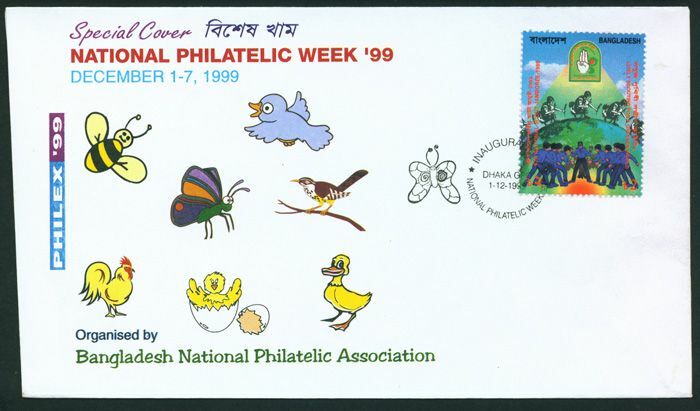 Bangladesh : National Philatelic Week - Event Cover. 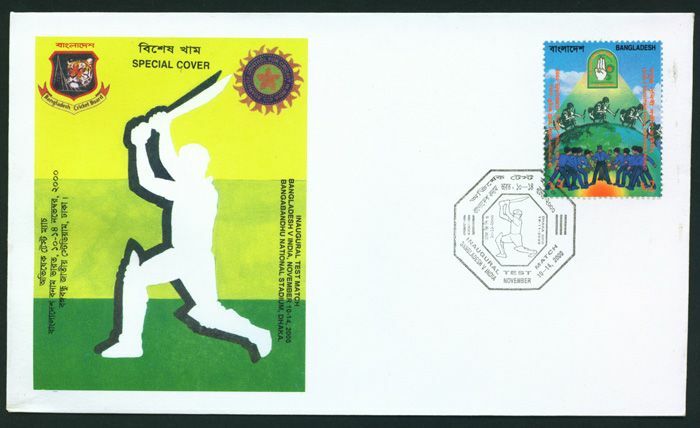 Set of 7 cover Issued on 1-12-1999 to 7-12-1999. Official cover issued with a pictorial postmark. 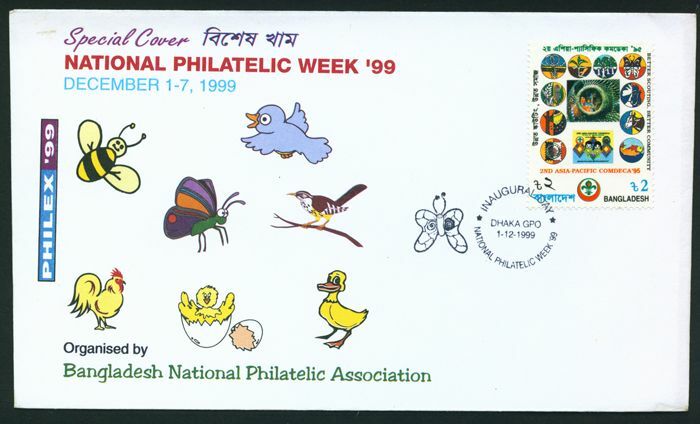 Cover On Occassion of Philatelic Exhibition organized by Bangladesh National Philatelic Association (BNPA). 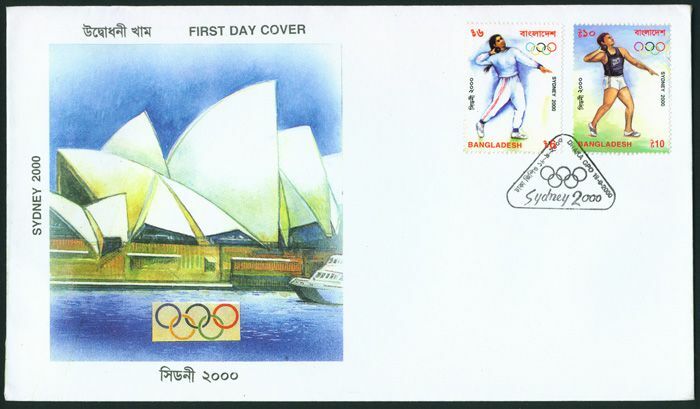 Bangladesh : Millennium FDC 2000. 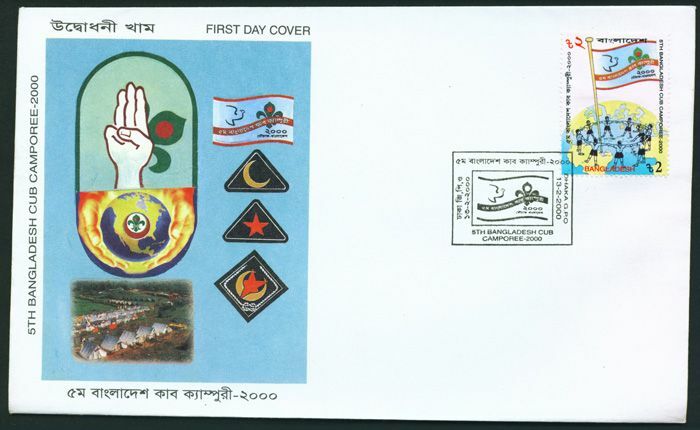 Bangladesh : 5th Bangladesh Cub Camporee FDC 2000. Bangladesh : Birth ann. 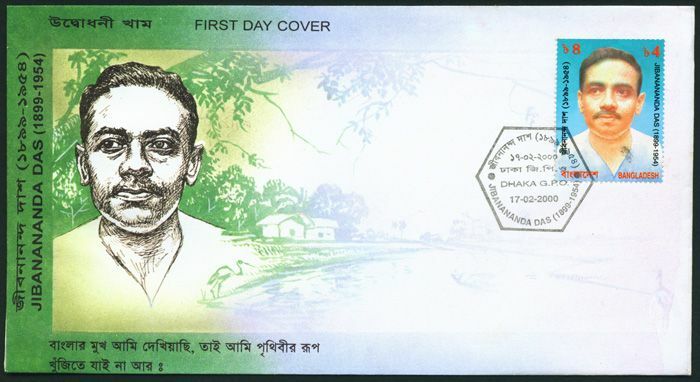 Of Poet Jibananda Das FDC 2000. 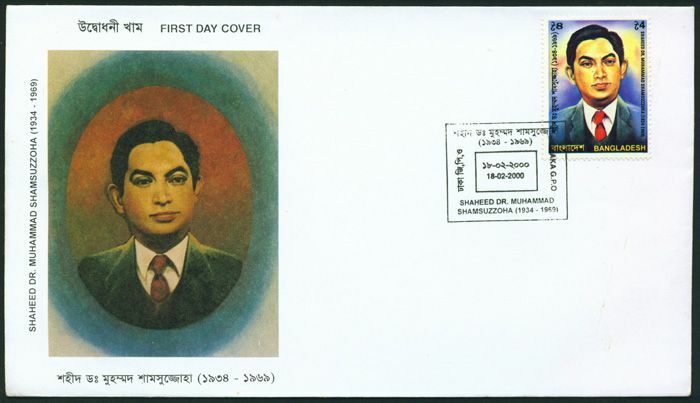 Bangladesh : Shaheed Dr. Muhammad Shamsuzzoha (1934 - 1969) FDC 2000. 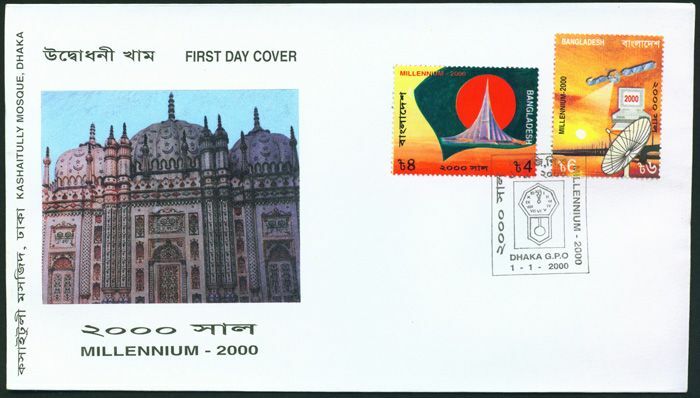 Bangladesh : 50th Anniversary of The World Meteorological Organization FDC 2000. 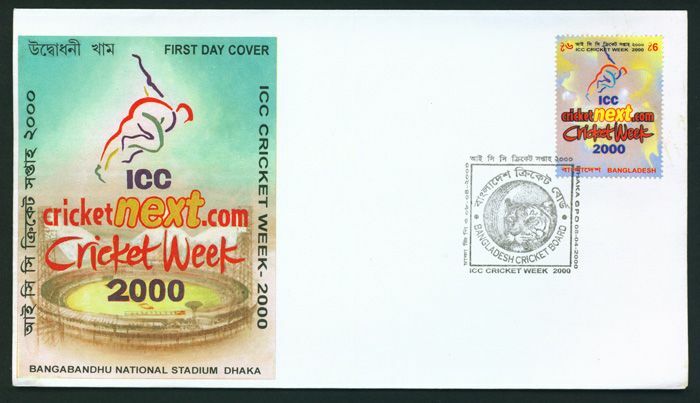 Bangladesh : ICC Cricket Week FDC 2000. 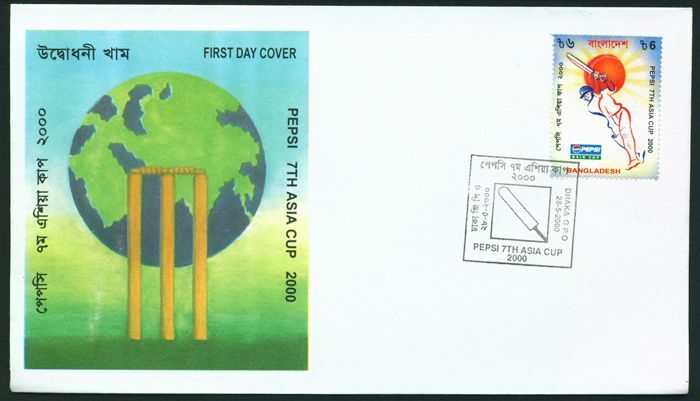 Bangladesh : Pepsi 7th Asia Cup FDC 2000. 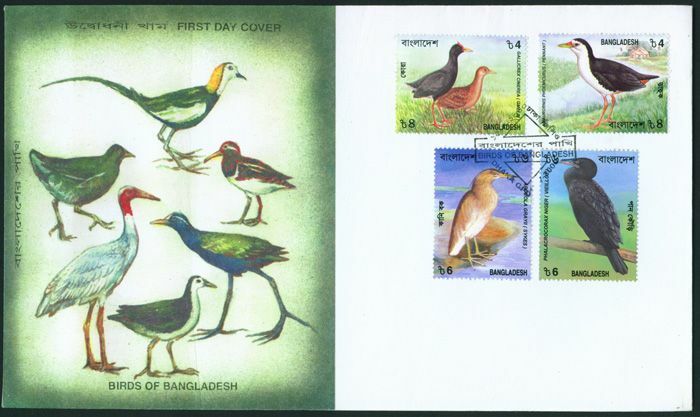 Bangladesh : Birds of Bangladesh FDC 2000. 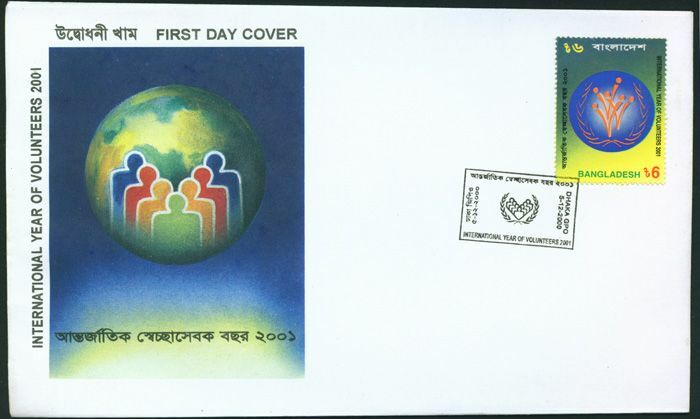 Bangladesh : International Year of Volunteers 2001 FDC 2000. Bangladesh : Death Anniversary of Hason Raza FDC 2000. 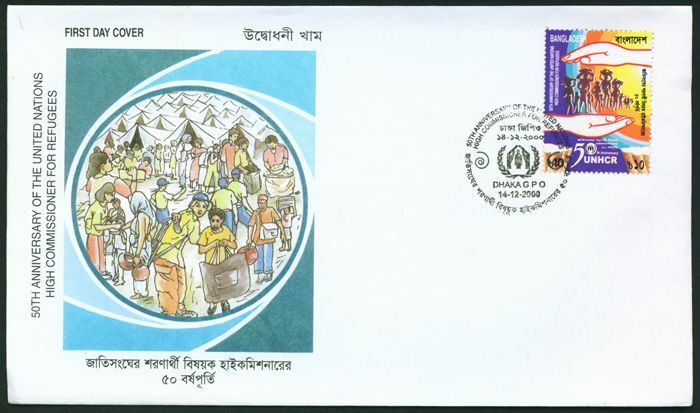 Bangladesh : 50th Anniversary of the United National High Commissioner for Refugees (UNHCR) FDC 2000.